Smoking is one of the vices that have a negative impact on health. According to most obstetricians, smoking has been the leading cause of adverse effects to babies. Cigarette smoke contains more than enough chemicals that can produce harsh effects to the baby and the mother. It contains up to 4,000 harsh substances such as nicotine, tar, lead, cyanide and many more. It also contains up to 60 carcinogens that can travel through the blood stream and cross the placenta. The most common chemical that produces harsh effects on the fetus and the mother are nicotine and carbon monoxide. Nicotine is a potent vasoconstrictor that reduces the perfusion to the placenta as well as the fetus. The effects of smoking are almost not managed by medications during pregnancy so its effects are imminent. Smoking during pregnancy is associated with a lot of factors. A lot of birth defects of babies are commonly associated with smoking. Cigarette smoke is also associated with most deaths in utero of fetuses because of its harsh effects. The nicotine found in smoking results in vasoconstriction of the blood vessels, which is generally harmful for the normal blood perfusion for the developing fetus. 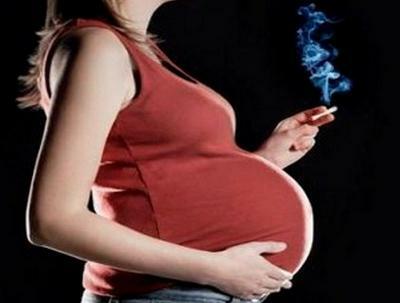 Smoking during pregnancy can also lead to stroke, heart diseases, cancer and others even after pregnancy. As discussed earlier, smoking during pregnancy results in various effects to the mother and baby. The main mechanism of the defects is associated with the constriction of the blood vessels that supplies blood to the placenta for the use of the developing fetus. It also results to problems in the mother. Vaginal bleeding. Pregnant mothers may experience vaginal bleeding as a result of too much pressure in the blood vessels in the uterus. Vaginal bleeding may also be a sign of ongoing problems in the fetus such as imminent abortion. Pregnancy induced hypertension (PIH). PIH is the occurrence of hypertension during pregnancy. Smoking during pregnancy is a factor to its development because of marked vasoconstriction. Abruptio placenta. Abruptio placenta is the premature separation of the placenta from the uterus even though the fetus has not yet been delivered. This results from pregnancy induced hypertension as a result of vasoconstriction brought about by nicotine. Placenta previa. Placenta previa is the low implantation of the placenta also as a result of harsh effects of smoking. Placenta previa prevents the fetus from being delivered first and may result to severe vaginal bleeding during labor because of its location. Still birth. Mothers may also experience delivering a dead fetus because of hypoxia inside the uterus. Still birth may result in psychological and emotional problems to the mother. After delivery, the mother is also predisposed to developing other conditions related to smoking such as lung, gastric and oral cancers, heart diseases, and cerobrovascular diseases. Premature birth. The limited blood supply in the uterus causes premature uterine contractions that may lead to premature delivery. The uterus needs an adequate blood supply in order to establish its integrity until the right time for delivery. However, when a mother smokes, the circulation is impaired, which stimulates early contraction of the uterus. Small gestational age baby. The developing fetus relies on the placental perfusion for nutrition. The blood that is supplied by the placenta is the chief source of nutrition. When there is vasoconstriction, the fetus receives limited nutrition, which affects the growth leading to low birth weight baby. Birth defects. Babies may also be born with cleft lift or palate because of poor intrauterine development. Heart defects may also result, which reduces the life expectancy of the baby. Cerebral palsy. The developing brain of the fetus needs adequate oxygen. With poor perfusion, the brain of the baby also receives limited oxygen leading to the death of some brain cells, which eventually leads to cerebral palsy at birth. Mental retardation and learning difficulties. Cerebral palsy and limited oxygenation of the brain during development may also lead to long-term effects such as mental retardation and difficulties in learning. Intrauterine fetal demise or death. Severe fetal distress because of hypoxia inside the uterus may lead to fetal demise. Risk for developing asthma and sudden infant death syndrome. The respiratory system is also affected, which may result in asthma during childhood. Sudden infant death syndrome or SIDS also results because of severe apnea during infancy. Other respiratory diseases may also include pneumonia, ear infections and bronchitis. It’s never too late to quit smoking during pregnancy as long as you have the discipline to stop. The primary step in quitting smoking is having the motivation to stop it. Lack of discipline and motivation are the most common reasons for failures in quitting. Increase fluid intake to satisfy your oral fixation. Indulge on candies and gums to replace the urge to smoke. Make yourself busy by engaging in worthwhile activities such as exercise. Avoid things, places and people who make you feel like smoking. Finally, seek the help of your partner in quitting. Psychological and emotional support is very essential in quitting smoking during pregnancy.